On December 10th 2016, my life changed in a way that had only been a dream for much of it. I picked up my keys for my very first apartment. Yes, I’m a late bloomer with getting my first place, one could say. Many obtain their first homes in their 20s or earlier 30s when going away to college or getting a first job. But for me, it was a long journey to get to that point and now as I write my story in my kitchen/dining room on my kitchen/table that has been in my family for some time, I feel a sense of pride and excitement for what lies ahead. 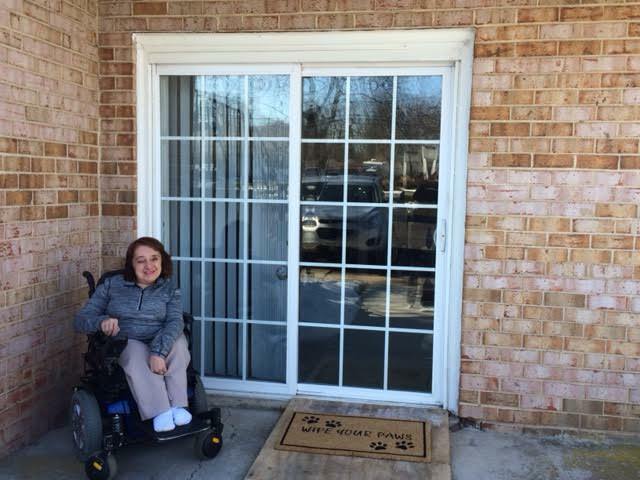 Yes, I live with a disability and yes when looking for an apartment or even a home, there is so much that needs to be learned, to find and make my new home accessible for my needs. But the disability was not the main obstacle that prevented me from pursuing things like others did, not in a direct sense. It was more about taking the long road in learning what I wanted from life and finding the courage to get out and make it happen. I would sit back and wait for others to make it happen for me, including in my family, but I needed to learn to do it myself and be true in what I wanted from my life. This is a hurdle, everyone, regardless of ability, can find themselves in, but sometimes the things not seen when living with a disability, can be a very hard hurdle to overcome. Although I grew into a comfort of living in my parent’s home, I knew in the back of my mind they would not be here forever. As someone who works with older adults I certainly wasn’t unaware of this. I just never planned that future would become the now. I’m sure we all never do. So in 2016, as my parents began planning their future of downsizing and my mom needing to take into account her own physical health, I had to roll out of my shell, so to speak, and start really looking for a place and make my life happen. It was an education as I needed to find a place that was user friendly to my needs and affordable. My sister was a huge help with locating apartments that were close by or possibly more accessible. I found one that would be perfect in accessibility but was far from work and literally in the middle of nowhere. Another place in Blue Bell, PA would have been a good pick but was a little pricier and did not take pets unless they were service animals. Yes, I have a cat and no he is NO service animal. Anyone who knows him, would agree. So my sister and I came across an apartment in a neighboring city, which came to be my perfect fit. It took pets, was affordable and right on Main street which gave easy access to an ACME, Starbucks-yay coffee, Walgreens and countless restaurants that I can simply cruise to, without a car. I have always fantasized about living in a town like this and now I’ve got it. I will say this, when looking for an apartment, one really needs to do homework on making sure the new place is user friendly. Although my place is on the first floor, I did not realize the only access inside was through a sliding door with a hump/step to get over. I knew the bathroom would be a "work out" room for me and was OK with that. I knew that I would have to modify the kitchen. But there were some unknown challenges that crept up and I had to act fast to make this place work for me. 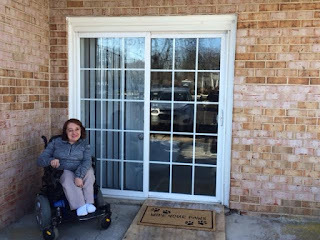 Within a month of getting ready to move in and speaking up A LOT, I now have a ramp for my door, a more user-friendly kitchen with a stove that I purchased which has knobs on the front to make it safe and easy for me to use. My closet racks were lowered for my clothes, as were the towel racks in the bathroom. 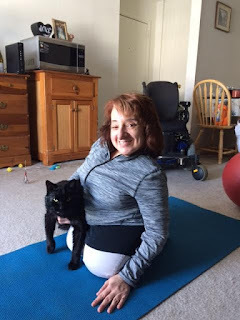 My amazing trainer Kate, has and continues to help me, modify my place to make it work for me with the available space. I have good friends who have taken me shopping and given me many gift cards to spend, so I can make my place feel like home. So I’m home now and really loving my place It’s still a work in progress, as with any new place but I have come to realize that I made this happen and when you put your mind to something, it can be done. I’m fortunate that I have much physical mobility that makes living here more accessible and a job with added financial support to pay the bills. 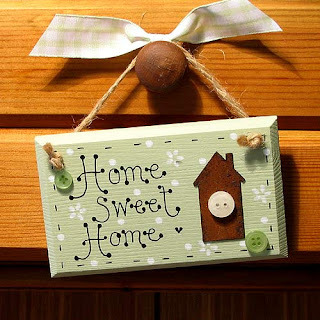 But a home can be made to be user-friendly for my needs, while reflecting my style and personality that I want to convey. And to end, I hope you will come to visit sometime as the bar is set up, the couches are comfortable and you just might be visited by a sly feline who wants to take a nap on your lap. As the cliché goes, there’s no place like home!